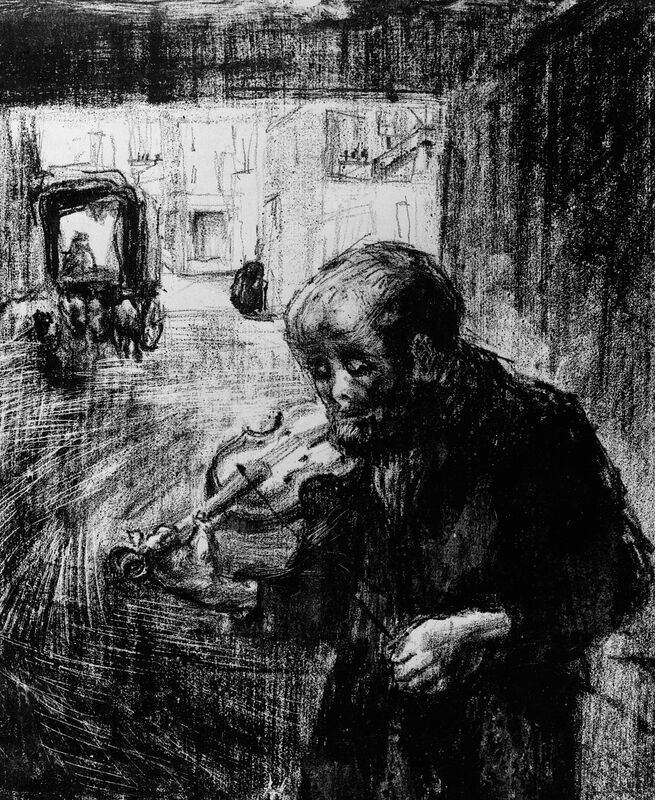 description A half-length lithographic study of an elderly, impoverished street fiddler, depicted beneath a bridge in Whitechapel, with a retreating horse and cart discernible in the distance. 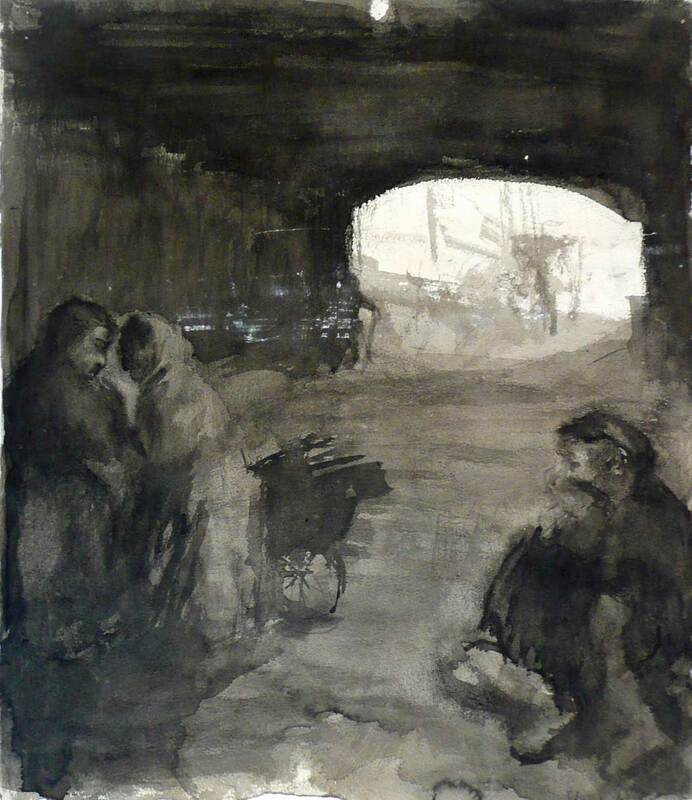 This is one of a number of atmospheric genre scenes centred on street musicians. 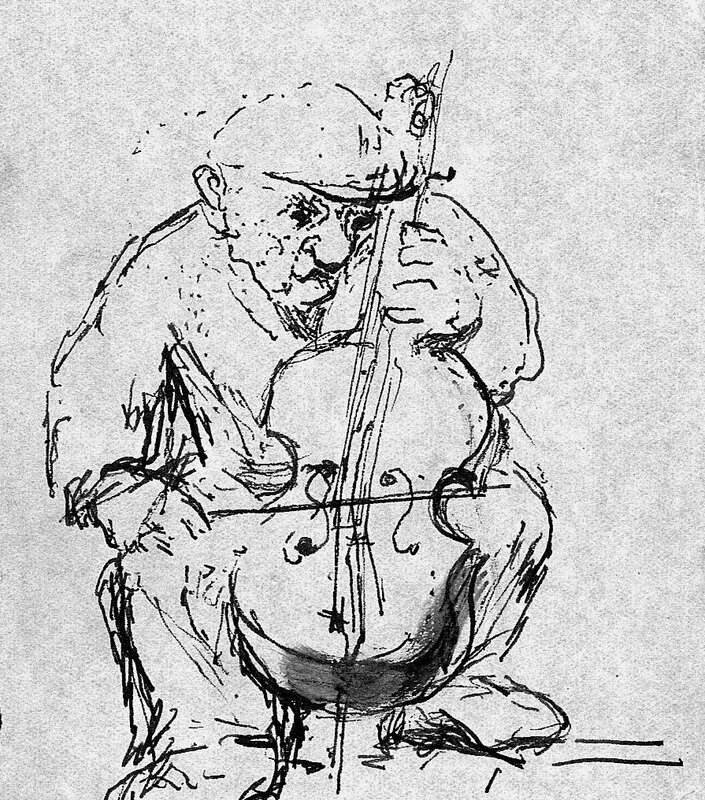 The setting, beneath the bridge, also recurrs in other compositions including 'Shoreditch'. exhibition history 'Eva Frankfurther 1930-1959: Memorial Exhibition', Boundary Gallery, London, 15 June-18 July 2001, (79), £200. literature ed., B. Planskoy, 'Eva Frankfurther 1930-1959: Paintings, lithographs and drawings' (London: Peter Halban, 2001),illus., p. 34.